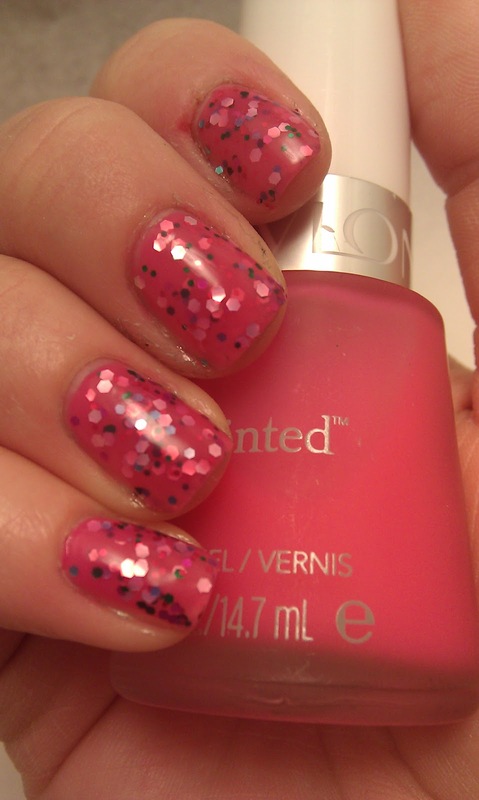 I came across Revlon Just Tinted Victorian in my hunt for a bright pink. Turns out it was not the pink I was looking for however I ended up with a jelly sandwich! I was playing around with WNW Party of 5 Glitters and realized that, layered with Victorian, would look like something I had seen before. 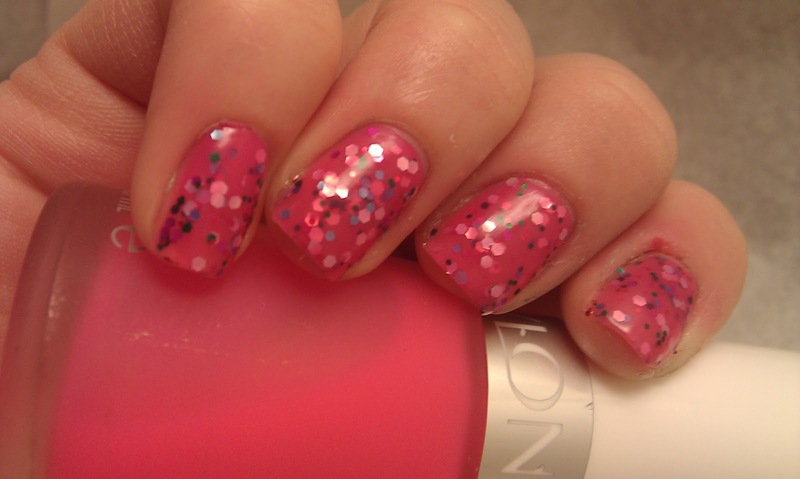 I started with one coat of Victorian topped with Party of 5 Glitters. Repeat 3 times and top it off with another coat of Victorian, making 7 layers total. 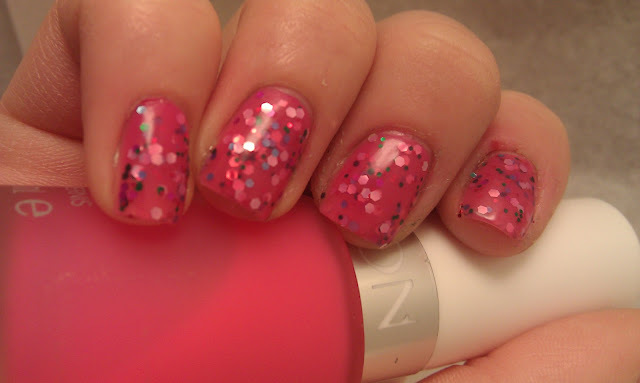 I know its brighter than Deborah Lippmann's Candy Shop, but for $4 I think it turned out alright!